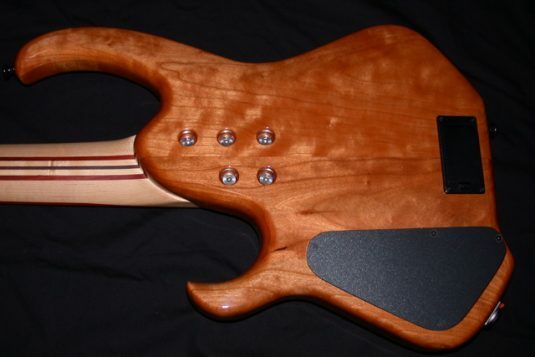 The bass represents my first experience with Pete Skjold’s work, and I am very impressed. 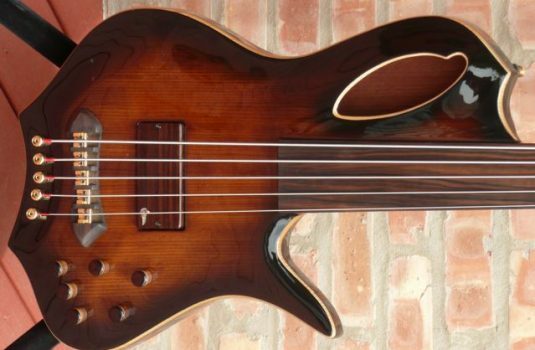 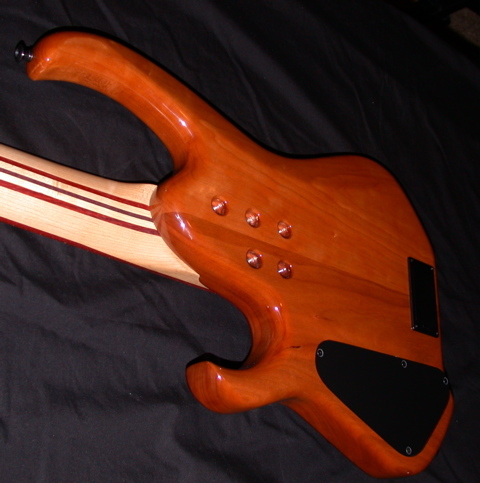 I have only seen photos of his basses in the past, and he does lay his hands on some very nice woods. 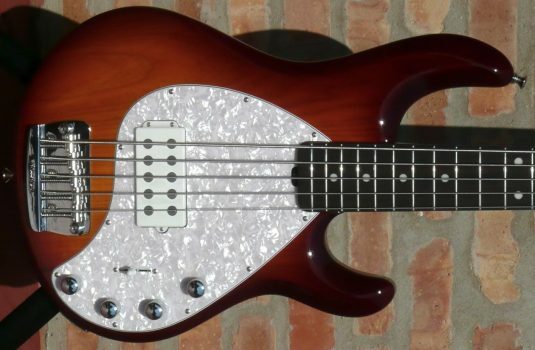 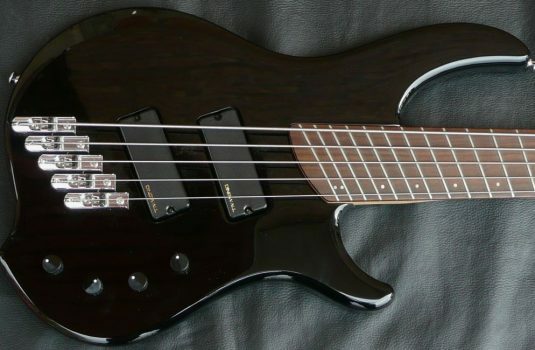 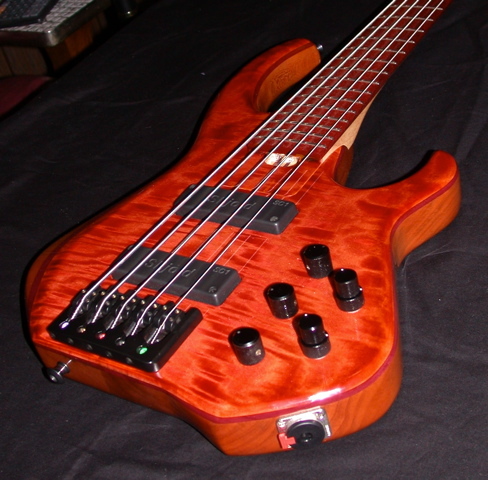 This bass passes tests #s 1&2 for me – playability and tone. 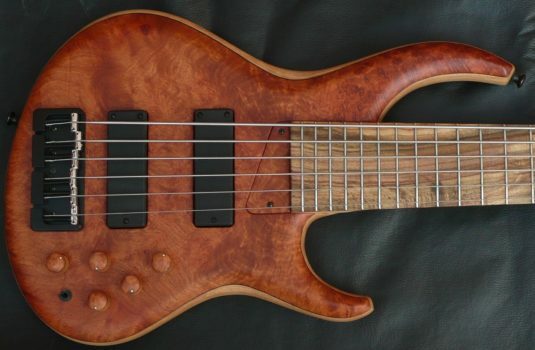 OK, to the woods first. 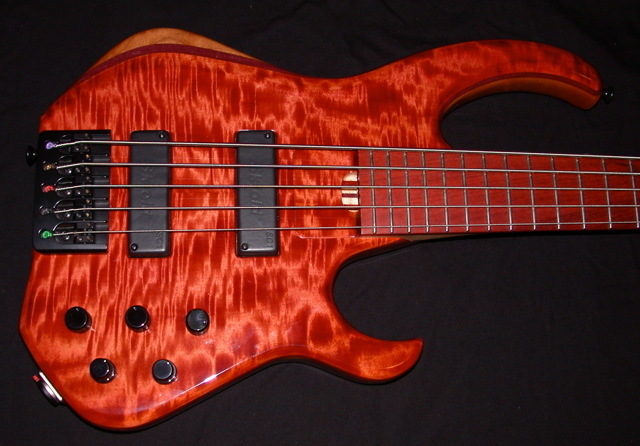 On the way for this are a new set of custom knobs and a matching ramp (ordered before the bass came to market here) . 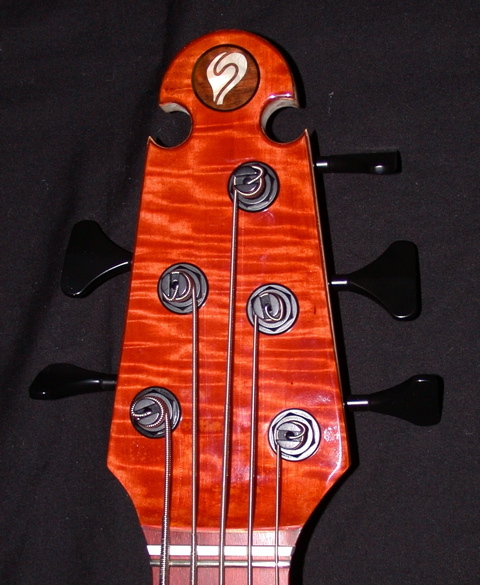 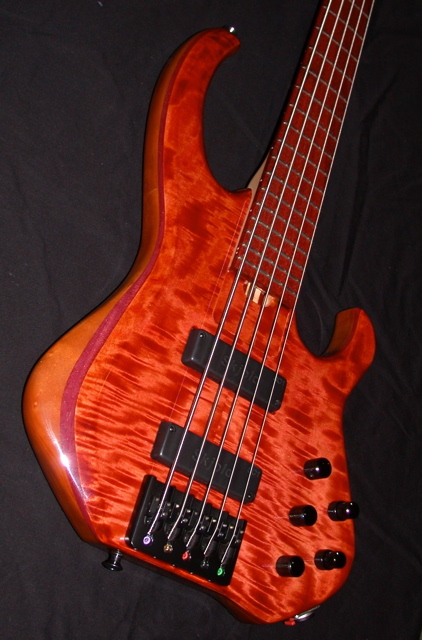 This bass is furnished with one of the nicest case I have seen in a while, and a Skjold 4″ leather strap – very comfy!